The first International Conference was held in Paris. The 9th International Conference (Washington) mandated the ICRC to visit and provide relief to ‘servicemen in captivity’, an early precursor to its present mandate to visit prisoners of war and civilians interned during conflict, as set out in the Geneva Conventions. The 10th International Conference (Geneva) modified the regulations for the International Conference, adopted rules which governing relations between National Societies when one operates on the territory of the other, and relations between National Societies and other organisations, as well as the League of Nations. The 13th International Conference (the Hague) adopted the first Statutes of the International Red Cross’, establishing the framework for the work of the Movement and its national and international components and creating the Standing Commission. 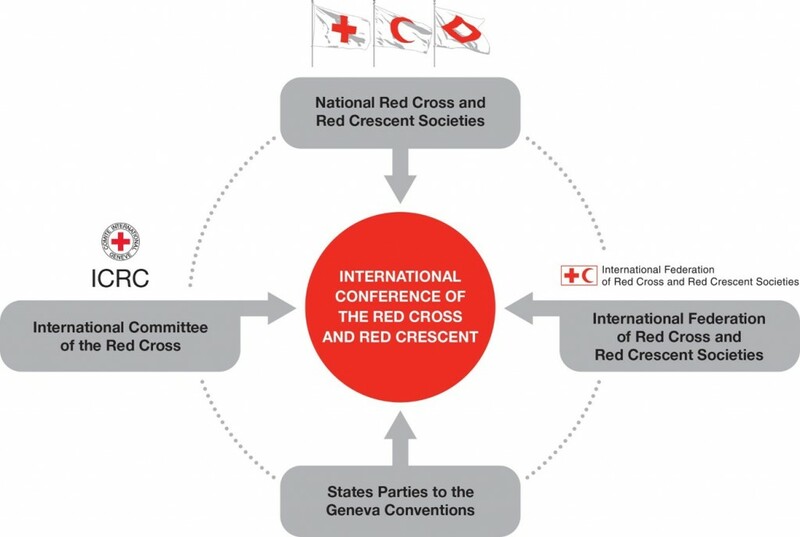 The present Statutes of the International Red Cross and Red Crescent Movement were adopted by the 25th International Conference in 1986 and amended most recently by the 29th International Conference in 2006. The 17th International Conference (Stockholm) adopted four draft conventions and recommended that they be presented to a Diplomatic Conference for adoption and signature – these draft texts were subsequently to become the present four Geneva Conventions of 1949, now universally ratified. The Fundamental Principles were proclaimed by the 20th International Conference (Vienna). In celebration of the 50th anniversary, the Fundamental Principles will frame the 32nd International Conference under the title Power of Humanity: the Fundamental Principles in Action. 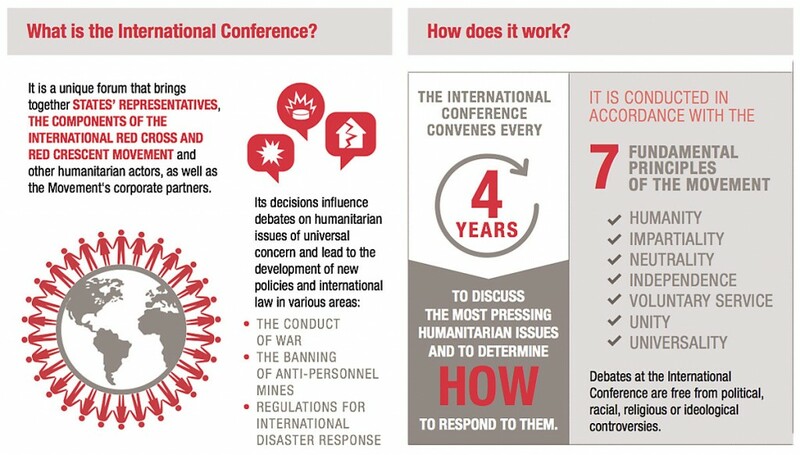 The 26th International Conference (Geneva) welcomed the Code of Conduct for the International Red Cross and Red Crescent Movement and Non-Governmental Organisations (NGOs) in Disaster Relief. The Code, which celebrated its 20-year anniversary in 2014, is often referred to as one of the earliest efforts to promote standards and accountability in humanitarian action. The 29th International Conference (Geneva) amended the Statutes of the Movement upon the adoption of Additional Protocol III to the Geneva Conventions, relating to an Additional Distinctive Emblem.